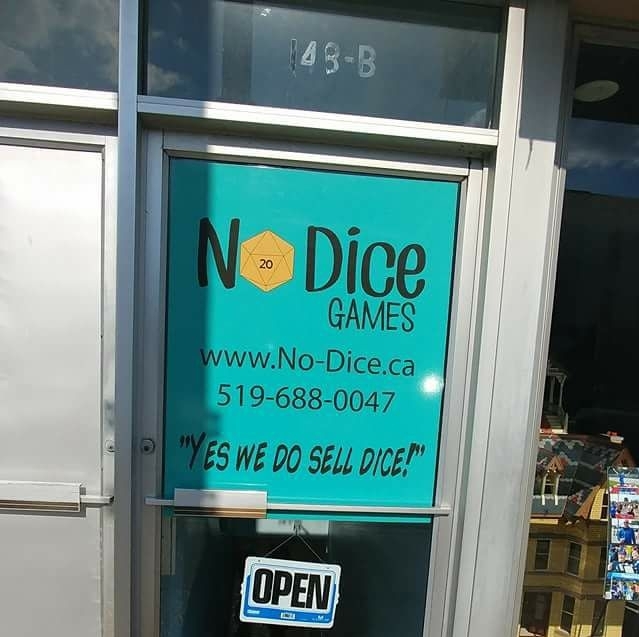 No-Dice Games is a store based in, and servicing the area of Tillsonburg, Ontario. After having successfully planned numerous events for companies/groups such as the Merrymount- Family Support and Crisis Centre and the London Community Cup, James Wegg, Michelle Webb, Scott Elliott and Cam Barber decided to start No-Dice Games – a company devoted to gaming-related event consultation, coordination, planning, and sales. Dedicated gamers each, they specialize in – but are not limited to – Magic: The Gathering, Warhammer, Kings of War, X-wing Miniatures, Dragon Ball TCG, board games and Pokémon. Visit us on our various social media!